There are no rigid qualifications to join our orchestra and we do not hold auditions. The repertoire we play has developed significantly over recent years and we play full classical / romantic symphonies (e.g. 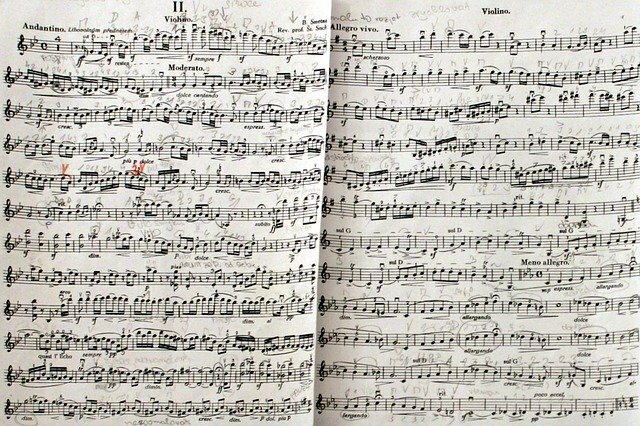 Beethoven, Schubert, Sibelius) using original parts. Have a look at our previous concerts here to get a feel for the type of music we play. We believe that we are an open, friendly and supportive orchestra and it is those qualities that we look for in our players together with a willingness to learn and develop. As an orchestra we want to play as well as we can, but also that playing is enjoyable and fun. We are not a beginners orchestra and if you are at the start of learning to play your instrument then you are likely find the music we play too difficult for it to be enjoyable. As a rough guide you would likely to be at least at Grade 5 standard to join a section and to be a confident Grade 7 – 8 player in a principal role. The key point is to get in touch for a chat. We are happy for people to come along a participate in rehearsals for a week or two before deciding whether to join and we also run events throughout the year such as our ‘Playing Days’ that provide opportunities for people to came and play with the orchestra.